Read our notice below about GDPR compliance and the data collected. Free your Mind Procenter is compliant to all the General Data Protection Regulation (GDPR) requirements. We collect information to provide better services to all our users. All the data you provide in this form is protected by GDPR law and will not be used other than for the propose of booking and registration of your person as a client of Free your Mind Procenter. You are entitled at any time to demand your data to be erased. 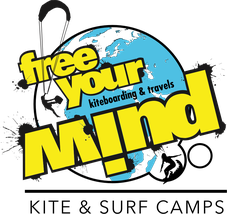 Contact our team info@kitesurfing-tarifa.com to withdraw the permission to store all your personal data. Bitte zögere nicht uns zu kontaktieren wenn du Zweifel hast.